Applies to all direct / permanent hires with our standard 25% placement fee. However, guarantee does not apply to hires via temporary-to-permanent conversions. If the employee departs due to either poor performance or of their own volition during the first 90 days, we will try to find a replacement within 90 days. If a replacement that is acceptable to the client is not found within 90 days, the initial placement fee will promptly be refunded in full. If the employee leaves of their own volition from 91st day to 365th day, we will try to find a replacement within 90 days. If a replacement that is acceptable to the client is not found within 90 days, the initial placement fee will be refunded in full. Above are our standard terms. Terms specified in a customized staffing agreement with your company, if any, would supersede the above standard terms. Why are you offering a full year guarantee? 10 years ago we introduced 6-month guarantees, the strongest guarantees in the staffing industry. Now we are the first to offer a full 1-year guarantee because in this full-employment economy, even a well-placed new hire may leave for another job, and we want to minimize that risk for our clients. Why don’t your competitors offer it? Because most of our competitors have high recruiter turnover rates, the original recruiter may not be there a year later to honor the guarantee. 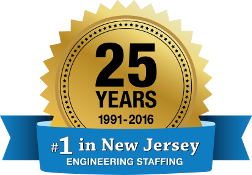 At ERG, our recruiters average more than 15 years with us. 90 days is plenty of time for a client to determine whether an employee is performing to company’s expectations. However, the client has no control if the employee resigns between 3 and 12 months after starting. By offering an additional nine months guarantee, we are further minimizing the client’s risk. Also, there is no professional pride in collecting a placement fee if the employee does not even last a year. Most of our competitors offer a 60 day guarantee. Some offer 90 days.